Gorgeous one bedroom flat in prime City Centre location and minutes from George Square - this fresh one bedroom flat is sure to appeal! Large one bedroom apartment benefiting from spacious dining kitchen with new appliances and an attractive outlook over the garden area, a perfect spot to enjoy breakfast. Bright lounge to the front with stripped floorboards and modern furnishings (further dining space here too), large double bedroom - again with stripped floorboards, small study area off and vast wardrobe. Newly fitted bathroom with shower over bath. 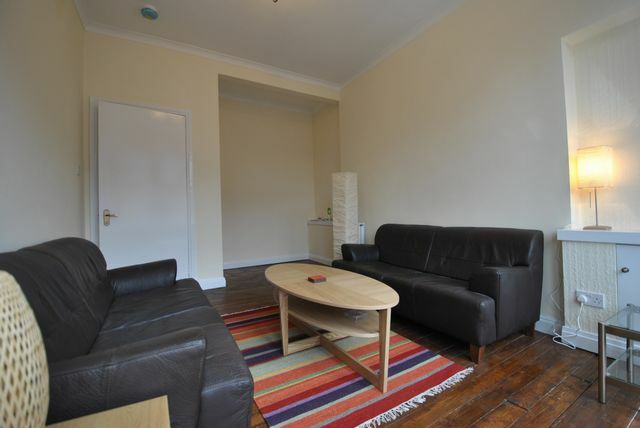 A perfect flat for professionals working in town and very close to Royal Infirmary.